It is a world lit by torch-fires and ruled by superstitions. It is a time before the birth of reason and before humanitys dominion over the world. This dark age is an epoch for castles, nobles, priests and wizards. Treading in the shadows of the world, consorting with demons and monsters, these magicians, holy men, philosophers and pagans wield unfathomable magic in a world veiled in mystery. Before the Technocracy existed a Mythic Age when magic ruled and science was but a dream unborn. In these times mortal men and women cower amid great wars and supernatural mysteries. Only wizards walk unafraid in the revenant-haunted and wolf-infested night. 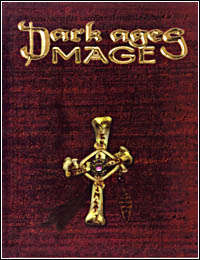 Included in this supplement are all the game systems and rules necessary to build mages for the Dark Ages setting. This book assumes use of Dark Ages: Vampire. You do not need Mage: The Ascension to make use of this book. This title was added to our catalog on July 28, 2005.